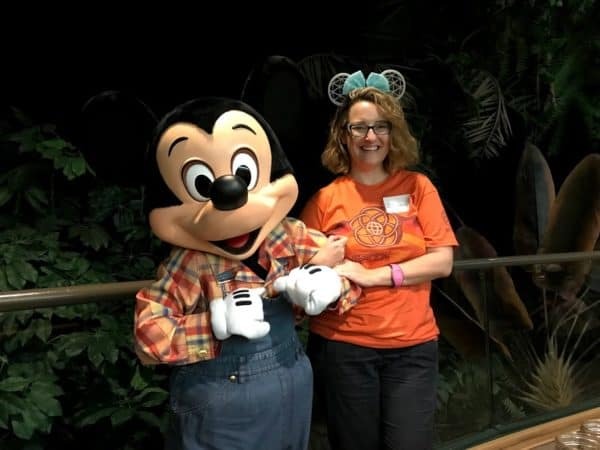 It's all of my favorite things for most families at Disney World, all gathered in a big Disney World itinerary, including where to stay, what to eat and how to tour. 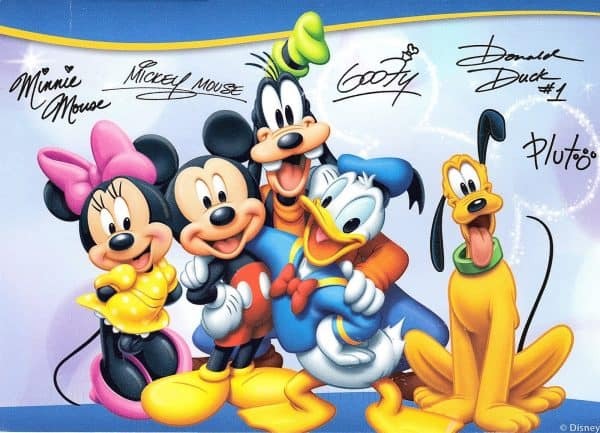 Write a letter to any character (pick 1 that appears in the parks to be safe) and they'll send you an autographed postcard in return. Write as many times as you like, such as once for each child, or to each of your favorite characters. Not everybody receives a response, but many people do, so it doesn't hurt to try. There are so many great resorts to choose from. Here are my recommendations in each category. The Art of Animation Resort is the newest value resort and people often pick their section based on which character they like the most. That makes sense (the rooms/sections are fabulously themed), but be sure to request a specific building so you don't end up spending half of your vacation walking to get food or to the bus stop. 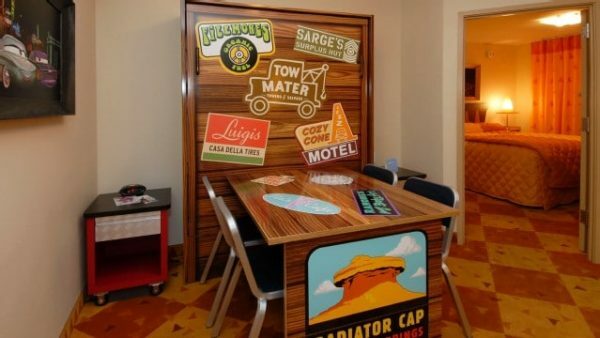 For a Cars suite, request building 1 with a room near Animation Hall. For a Lion King suite, request building 10 with a room near Animation Hall. The Nemo buildings cost a bit extra and either building will work (buildings 4 and 5), but request a room closest to Animation Hall. 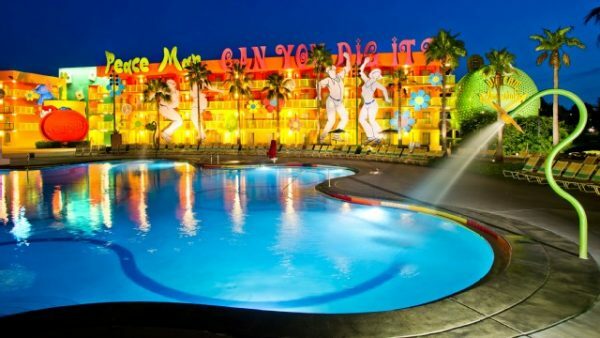 Another great Value Resort is Pop Century. I highly recommend paying for an upgraded Preferred Room so you're closer to the main building. The rooms are not themed around a character, but the ability to guarantee a good location with a Preferred Room makes it a good option. Moderate Resorts are the least appealing to kids since there really isn't a hook to draw them in. All of them are perfectly fine, just not quite as "fun" as some of the Values and Deluxes. I really like Port Orleans Riverside as long as you pay to upgrade to a Preferred Room to reduce loooooong walks. This resort has both a food court and on-site restaurant, there are carriage rides, and you can take a boat to Disney Springs. There are several good options in the Deluxe category. 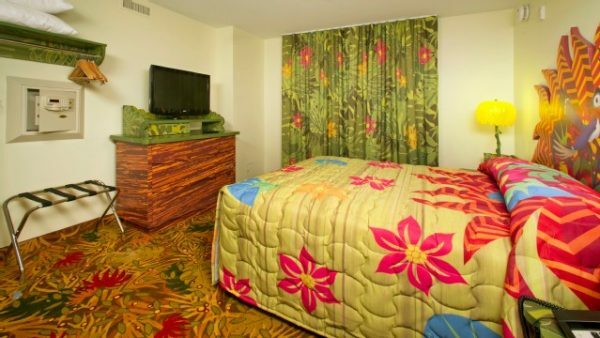 I'd suggest The Contemporary Resort as one good choice. Not only does it have the monorail going through the building (so cool!) 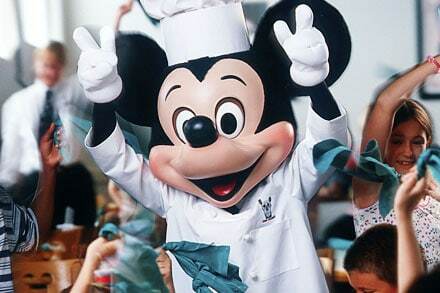 but Chef Mickey's is located there, you can walk to Magic Kingdom, the Pirate and Pals Fireworks Voyage departs right from the hotel, and you can view Magic Kingdom fireworks and The Electrical Water Pageant right from the resort. You also have easy access to the other monorail resorts (and you're a boat ride away from The Wilderness Lodge) which have great restaurants that many families love. 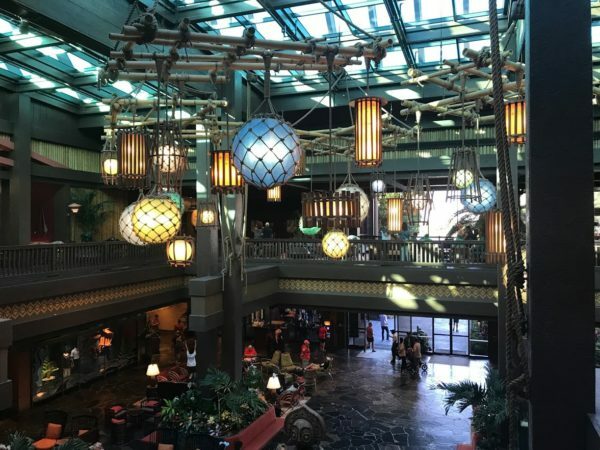 Another attractive option is The Polynesian Resort which is located on the Magic Kingdom monorail, and you can opt to walk to the Epcot monorail at the Ticket and Transportation Center as well. You can take the monorail to Magic Kingdom, enjoy a great pool and restaurants, and view The Electrical Water Pageant and Magic Kingdom fireworks from the hotel. The itinerary below is just an example. You'll need to rearrange your days according to the best parks on your days. Many of the things mentioned below are quite popular and should be booked 180 days in advance. Yea! After months of counting down the days, your trip is finally here. Take a spin on the monorail and then head back to your resort to get ready for your first day in the parks. Head to Magic Kingdom bright and early for an 8:00 breakfast at Crystal Palace. Arriving before the park opens means a chance to get a great pic with the castle in the background without all of the crowds to clutter your photo. It also means that you won't miss out on prime touring time (which is between park opening time and lunch). Another favorite pre-park opening breakfast is at Be Our Guest which is a Quick Service but requires reservations. It's less expensive and much faster than Table Service options, allowing you to spend less to get into the park early and finish up before the park opens so you can immediately begin touring. Get more info on Be Our Guest reservations. After breakfast, head to Fantasyland right when the park opens. Have FastPass+ reservations made in advance for Big Thunder Mountain, Jungle Cruise and Seven Dwarfs Mine Train. For lunch, you might want a Quick Service lunch after having a big breakfast. 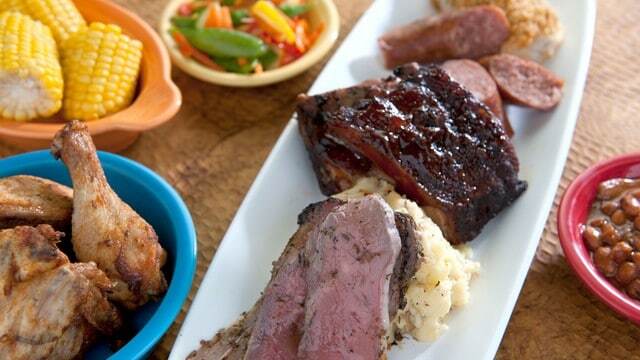 Pecos Bills and Columbia Harbour House are good choices that are nearby. In the evening stay for fireworks. There's a special Tomorrowland Terrace Fireworks Dessert Party that allows you unlimited desserts (as long as they last) and prime viewing for fireworks. The dessert party can be booked just like dining reservations. It is popular so you'll want to try to do that 180 days in advance. After fireworks, you may want to consider an Uber or Minnie Van if you aren't staying at a Magic Kingdom-area resort. Lines can be long and it could take over an hour to get back to your resort. If you use Uber, the best way to do that is to walk to The Contemporary and get picked up there. If you take a Minnie Van, they can pick you up right in the Magic Kingdom bus stop area. Visit the Magic Kingdom touring plans to view all of the options for touring Magic Kingdom, including 1 and 2 day options and plans for families with little ones. Arrive at Epcot by 8:15 or 8:30 or so for a 9:00 open time (they usually open up a little early). Have FastPass+ reservations ahead of time for Frozen Ever After, Turtle Talk with Crush, and Spaceship Earth. One good lunch option is Garden Grill which happens to be my favorite character meal in all of Disney World. The food is delicious and the character interactions are the best I've experienced. After lunch, walk toward the World Showcase to start exploring. Download the Play Disney Parks app or stop by a kiosk to sign up for Phineas & Ferb: Agent P's World Showcase Adventure. Explore the World Showcase, following the instructions given to you for your adventure. Each country's tasks can last around 30 minutes so it's a great way to keep kids busy while exploring the shops and buildings. Stop and watch some of the entertainment. Check WDWent.com before your trip and/or use the Times Guide to plan out what you'd like to see. Around dinnertime, snack your away through the World Showcase or sit down at 1 of the many restaurants to eat. Teppan Edo, Biergarten, and Restaurant Marrakesh are family-friendly restaurants to consider in the World Showcase. 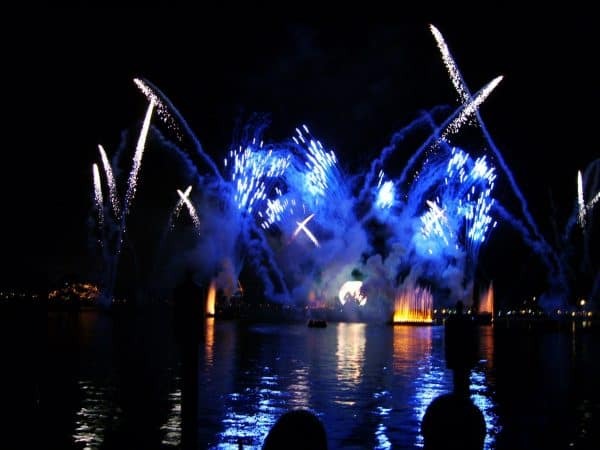 Exit Epcot through the International Gateway (located near the U.K. section), and head to the Boardwalk area to meet your boat at The Beach Club marina to take you on an Illuminations cruise . These cruises depart 30 minutes before Illuminations is scheduled and take you on a short boat ride and end with a great view of Illuminations as you're parked under the bridge that connects France and the U.K. sections of the World Showcase. Unlike the cruises near Magic Kingdom, this one actually gives you a prime viewing spot. These reservations need to be made 6 months in advance. If you feel up to it, explore the Boardwalk area and then consider getting a taxi or Uber or Minnie Van to get back to your hotel to avoid a really long commute by bus. Visit the Epcot touring plan page to view all of the Epcot touring plans, including a version for families with little ones. Arrive at Hollywood Studios by 8:15-8:30 or so. Make FastPass+ reservations ahead of time for Slinky Dog Dash, Rock 'n' Roller Coaster, and Star Tours. Hollywood and Vine is a buffet restaurant which includes Disney Junior characters for breakfast and Minnie Mouse and pals for lunch and dinner . There are a lot of American dishes and a kids section of the buffet with typical kid-friendly foods. 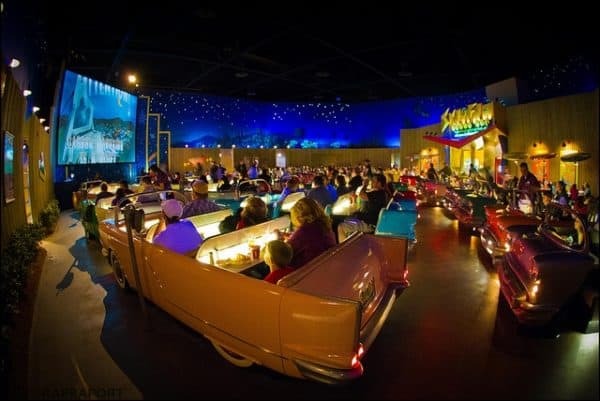 Another fun restaurant is the Sci-Fi Diner which has guests sitting in "cars" facing a screen. This restaurant is known for their milkshakes. 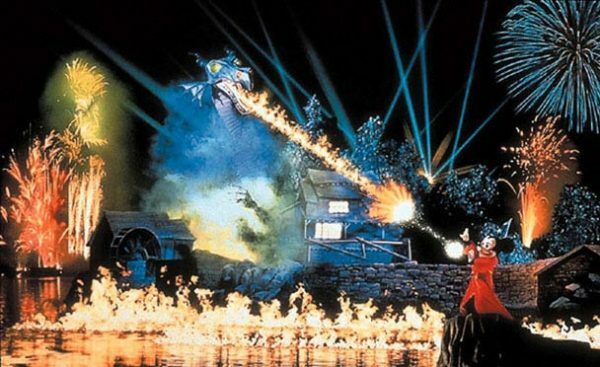 End your Hollywood Studios day by viewing Fantasmic! and Star Wars fireworks. It's a great show, but some dark imagery could scare younger children. Visit the Hollywood Studios touring plan page to view all of the Hollywood Studios touring plans, including a version for families with little ones. Sleep in and then head to Disney Springs to explore lots of activities that kids love. 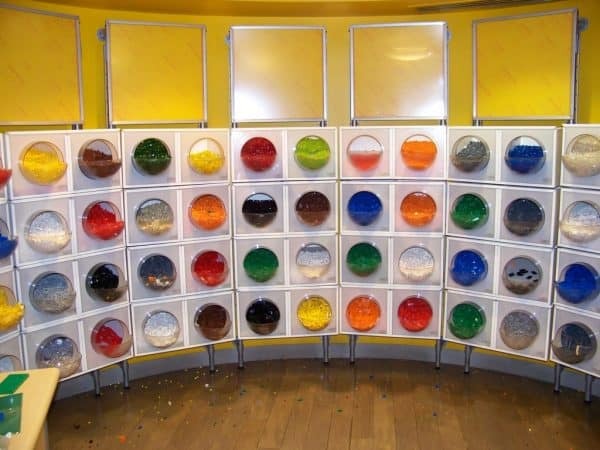 LEGO Store - fill up a small or large cup with LEGOs for a set price. They also have mini-models that are free to build and take home once a month. Check their website for the date when it's being offered. Aerophile balloon flight - in the summer, this tethered balloon lifts guests 300 feet in the air for a 6 minute "flight"
Here's a video with a suggested plan for visiting Disney Springs one evening during your trip. Head to Tusker House for Donald’s Dining Safari Lunch with Donald and Daisy Duck in their safari gear. The menu includes lots of roasted meats, stews and great desserts. After lunch, head to Kilimanjaro Safaris to use your FastPass+, see Festival of the Lion King, ride Flight of Passage with a FastPass+. Take a bus from Animal Kingdom to Ft. Wilderness for the Hoop-Dee-Doo Revue dinner show which has times at 4 p.m., 6:15 p.m. and 8:30 p.m. This family-style meal has food that everybody can enjoy and the corny, silly entertainment appeals to all ages. Make these reservations 180 days in advance. It's usually difficult to travel between resorts but transportation is provided after the show to get you back to your resort. 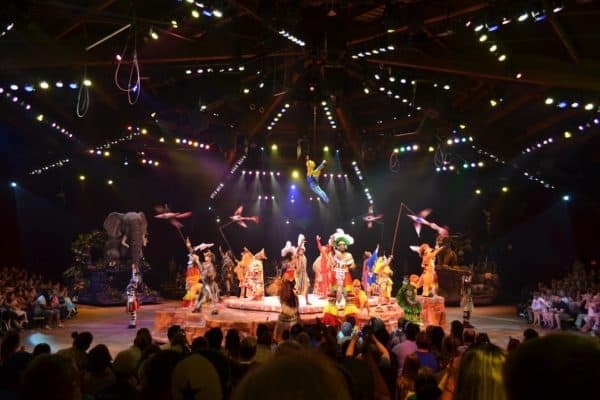 If you do an early Hoop-Dee-Doo Revue time, you can head back to Animal Kingdom in the evening to enjoy the park at night, including seeing Rivers of Light and seeing Pandora in the dark which is a totally different experience. Visit the Animal Kingdom touring plan page to view all of the Animal Kingdom touring plans, including a plan for families with little ones. Start your second Magic Kingdom day by repeating favorites from your first day and riding Tomorrowland Speedway. In the evening, leave Magic Kingdom for a fun dinner at Whispering Canyon Cafe at The Wilderness Lodge which is just a short boat ride away from Magic Kingdom. This restaurant is super silly. Be sure to ask for extra ketchup, napkins or straws and see what happens. After dinner, head to The Contemporary for the Pirate and Pals fireworks cruise which departs from The Contemporary. You normally have to be there about 2 hours before fireworks are scheduled so an early dinner reservation would be best so that you can get to the cruise on time and have a bit of an appetite for the snacks provided. On your departure day, get your bags packed and head out for 1 last fun event before going home. Head out for breakfast at 'Ohana (located at The Polynesian) or Grand Floridian's 1900 Park Fare. 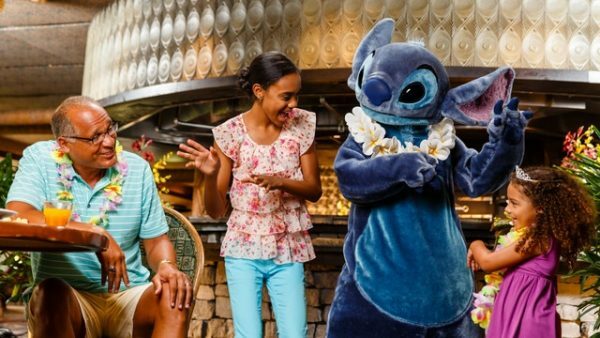 At 'Ohana, you'll see Lilo, Stitch, Mickey, and other friends, dressed up in their Hawaiian attire. The breakfast is all-you-can-eat American breakfast plus extra things like Hawaiian pork sausages, Island-style potatoes and Hawaiian breads. Kids are often included in various activities that take place while you eat. 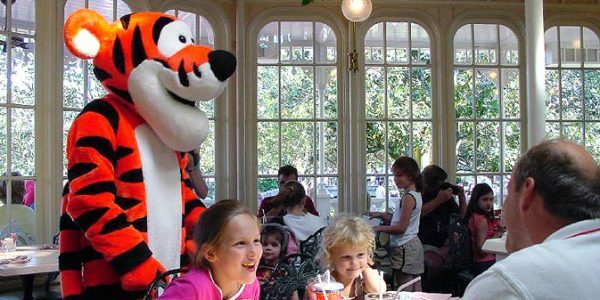 Although 1900 Park Fare is known for their great Cinderella meals, breakfast here includes more general characters like Mary Poppins, Alice & the Mad Hatter, Pooh and others. The breakfast buffet includes custom-made omelets and carved ham along with light and fluffy mini pancakes or Mickey-shaped waffles. If you're getting back to the airport using Magical Express, it'll pick you up 3 hours before your flight so be sure to allow time for that. Head home with lots of great new family memories made, knowing you've experienced the best-of-the-best at Disney World. I would argue AGAINST an 8 AM crystal palace breakfast. You have to rush and eat and meet all the characters in 47 minutes to go out there and be ready to join the masses for first dibs at Minetrain. Now that the park opens early to ANYONE, makes no sense to me to rush an expensive experience. Just do a lunch. This is to help people get an idea of expenses when considering WDW. We are 2 adults with a 13 year old going to WDW April 9-15 2016. Arriving early on the 9th & leaving late on the 15th. 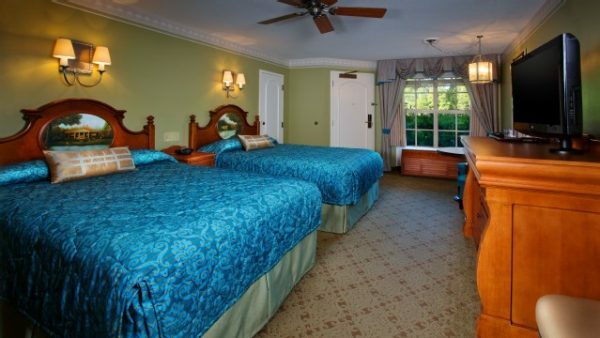 6 nights standard room at Art of Animation for around $1000. Nemo Pool & Food Court are great here. Regular Dining Plan for 3 (includes 1 Table Service daily) around $1100. 7 day Tixx with Hoppers around $1200. Memory Maker pic package $169. In Sept ’15 we booked the above components for just under $3,600. Last year’s trip we bought 3 RT Airfares from the NYC area for $600. Hoping to repeat. Renting a car is worth the freedom and extra time it affords us, usually $300. Add $500+ for souvenirs, tips for TS meals, etc… ALL costs = $5,000, not to exceed $5,300. You can do this a little cheaper during “value” seasons. But the trade-offs are shorter park hours, closures/refurbishments, less daylight & iffy weather among others. 2015 had many unexpected record crowds during value seasons. Since we’re spending for a premium vacation, why not pay a small percentage more to enjoy WDW at it’s best? Plus, we arrive during Epcot Flower Festival, very exciting. Those world “tastings” only count as snack credits on the Dining Plan. Woo Hoo! 180+ADR allowed us to get every exact TS reservation we wanted. Except HS Fantasmic dinner, which WDW hasn’t confirmed for March or April ’16 yet? I have been planning an 8-10 trip for my family of 3. I was worried about my touring plan until I read this and it was almost IDENTICAL to what I have already planned! We are planning a family vacation for 8/27/16 – 9/4/16. Do you think are chance of getting the meal plan are high and do you have an estimate of when it will be released? Thank you!!! Hello! I am excited to find your fabulous site, as we will go to WDW for our first trip ever in October 2015! We just made the decision, so I am already feeling a little stressed that we’ll miss some opportunities that should have been booked months ago. 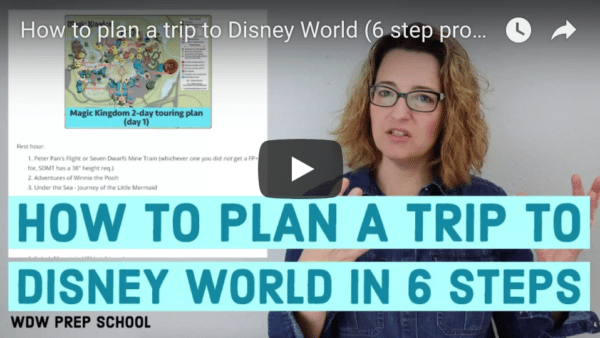 QUESTIONS: (1) Should I use an authorized WDW travel agent, due to the time factor? (2) Does your agenda above still apply to 2015 – asking since I’ve read there are changes with the inclusion of the Magic Band and fast passes. It does seem you’ve included those things but I want to make sure (my head is swimming with info overload already!). Many thanks from a gal in Dallas, TX! If you are staying on property – def book through a Disney travel agent. Their service is free and they will get you the best deals and can aid in all of your reservations. I think this is a solid plan and still applies to 2015 with very minor adjustments. You will have a wonderful time! Have fun! I don’t want to take food out of the mouth of someone working hard but I think a lot of people get scared away from traveling when they hear what the agent’s plan. We have tried over and over again to book through an agent but no one can touch our usual plan. We always check prices but Dave’s DVC is always our best deal for booking a room. Using them you can rent other people’s DVC points and stay at Animal Kingdom for the same price (or lower!) than a value level resort. Or pay slightly more to stay at another deluxe resort. Or pay much more for the Grand Floridian, lol. Then we compare ticket prices between Disney, Undercover, and Tickets at Work. For our family Tickets at work is usually the best deal because we like the hopper. But my inlaws, who often travel with us, don’t go to the parks every day and when they do they only spend half a day, so they don’t need hoppers. We get a better deal for them through Undercover. We don’t like to use the meal plan, trying to get the kids to eat at restaurants twice a day every day is too much for us. There is a Super Target very close to Animal Kingdom Lodge with in-town prices. Worth a taxi ride if you are staying for more than a couple days to stock up on water bottles and food. We do splurge on a couple special meals so we don’t end up saving a TON over the meal plan, but its so much easier on us. We go to Disney every year and have never once used a travel agent. We stay at a different resort each time we visit. This year will be our first time using Dave’s DVC and we’re excited. Our room in the preferred section of Saratoga Springs cost us about what a moderate usually costs. Sometimes we get the dining plan; sometimes we don’t. It all depends on whether or not we want to do buffets and character meals (the really expensive meals). Last year we didn’t and saved $300 by not getting the DDP (and that was for one adult and one child). 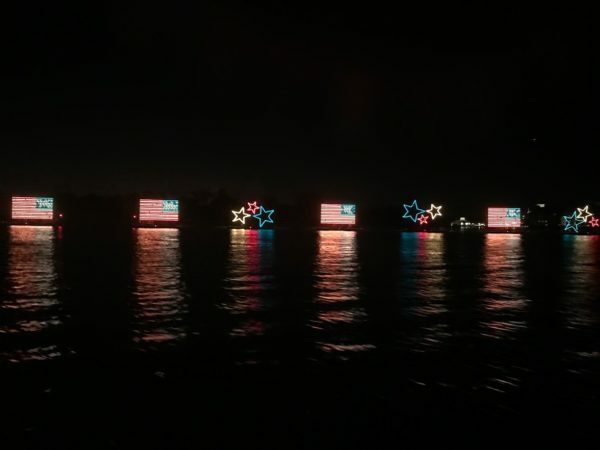 How do I book the Illuminations cruise? I cannot find it anywhere on wdw website. You can book by calling 407-WDW-PLAY. Yes, as it is one of the favorite restaurants in all the parks. Hi! New fan here. I love this post! If I plan to follow this exact iteniary how many days of the park do I need to purchase?? You don’t need them for character meals or the day going to disney downtown correct? 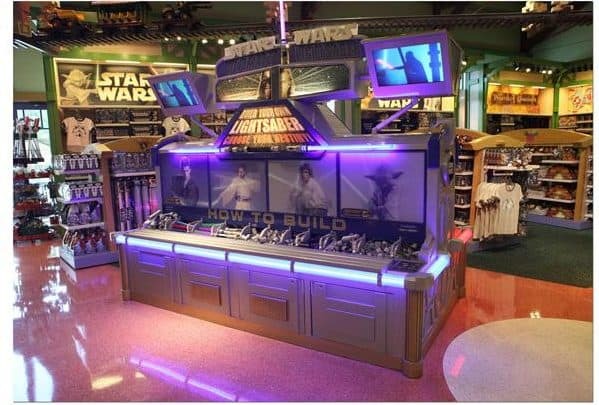 another question….. Its my first time going and I need some info on magic bands. can u help? 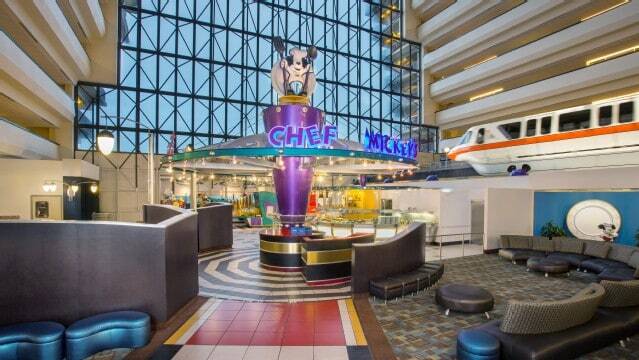 You don’t need park tickets for downtown disney, or character meals inside resorts. I’m not sure about the ones inside the park, though I think you need a ticket if they are inside the parks (Cinderella’s Table, etc.). Magicbands are your park tickets, credit cards, room keys, and fast passes. On the decorative side, you can choose the colors. You can also buy Bandits, little characters or designs that stick onto the band. There are also Slidey-thingys that make your magic band into a character. Basically, online, all your Disney World trip information will be on the magic band (including Magical Express info if you need that). Cast members can scan your magic bands for all sorts of things. What type of meal credit would the Tomorrowland Terrace Fireworks Dessert Party use? We’re using the dining plan. It’s not accepted there. You’d have to pay for that one out-of-pocket. What would be a good budget for this vacation. We have never been to Walt Disney and wouldnt even know where to start budgeting. We are a family of 4, staying at a moderate resort in early May 2015 for 8 nights. We booked room, dining, memory maker, and park hopper tickets for approx 5,000. What was your itenirary for the 8 days? Hope this helps people get an idea of what to expect budget-wise when considering WDW. Fantastic post. I would add Beach and Yacht club to the Deluxe resorts. Location, location, location. Stormalong Bay is an amazing pool and being just a 5 minute walk from Epcot is fantastic along with the short boat ride to MGM (oh sorry, the studios). I love your site. Keep on keeping on. This post is absolutely fabulous!! We are heading to disney on our honeymoon, no kids but i will still take advantage of all of your tips. I loved all of your restaurant recommendations because there are so many to choose from. i loved that you included all you can eat buffets b/c its hard to tell which ones are AYCE. thanks again! Pirate Adventures- My kids are obsessed with these! 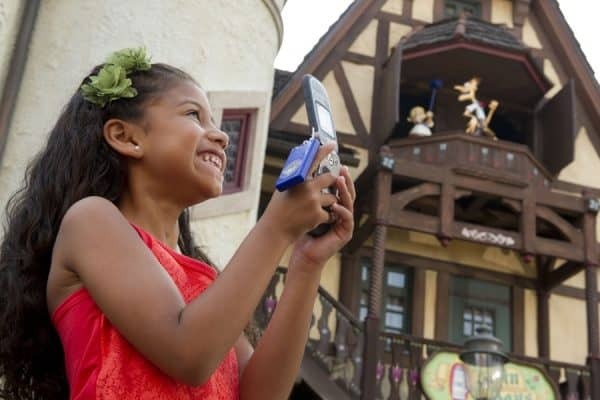 You are given a treasure map and go on a treasure hunt, scanning your Disney card or Magic Band at each part of the adventure. These are a lot like the Perry Adventures in Epcot. Magic Carpets- The ride is smooth and relaxing and you have the opportunity to get wet- always nice in the FL heat! Mine Train- Need FP bc the line will probably be ridiculous. There are activities in the line though. Character Greet Anna and Else- If you are going to meet them you NEED FP, the other day I walked by and standby was 300 minutes! Dumbo ride- The ride is not as good as the carpet ride—-but the wait is an awesome play area. My kids like to go cool off here. Monsters Ink- Make sure you have a good joke to text in when they ask! The new daytime parade rocks as well! Talk with Crush- One of my absolute favs, but I wouldn’t waste a fast pass on it. The fast pass just gets you in the waiting area- the same as everyone else just walking in. Definitely Perry Adventures! We have done half of them so far. My kids’ favorite of the ones we have done is the Mexico adventure. Favorite Current Shows: Chinese Acrobats and the Chair Show in France. Also, if you are by Epcot at night and want to head over to the boardwalk area, the Beaches Resort has a yummy ice cream place across the way…and the Boardwalk has super fun magic shows. My kids love them and so do I! They are in the evenings…depending on the day but between 7-10ish. Star Wars Training- Need to get there to sign up insanely early. Make a mad dash at park opening. You need the kids WITH you to sign up. 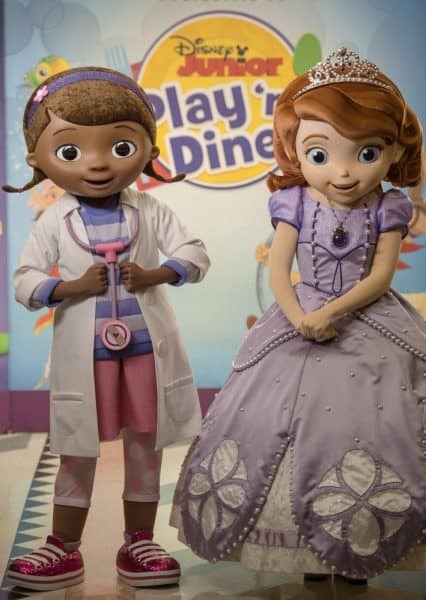 Disney Junior IF you have kids interested in those characters. You sit on the floor for this and it can kind of be uncomfortable. Also, a good street show to catch is the Jack Diamond Magic Show! Safari! This is my husband’s favorite ride. We have gone on it at least 100 times. Get a FP! Thanks for the AMAZING post! 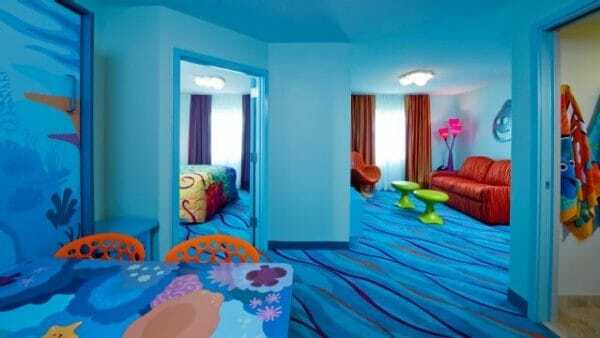 I noticed you left out the Ariel standard rooms at AOA, do we not need to worry about walking distance with those? Also, is the POLY not the best option anymore for Deluxe considering the construction? ….. I know that you mention ( at certain points ) which things you should make advance reservations for, whether that be 180 days, 6 months, etc. I was wondering if you could tell me (or make a list, if you don’t already have one) all of the things at WDW you need to make such advance reservations for. Sometimes I’ll see it written and think “oh, that doesn’t apply to me because we don’t ever stay there” or “we don’t ride that ride”, etc. but then I get nervous thinking “oh, what if there’s something I DO need to make reservations for?!”. Does that make any sense? I haven’t been to Disney since 2008 and I’m finding out that things like the Kona Cafe are hard to eat at when it was so easy before. If it’s not too much trouble, would it be possible to create a list of everything that requires reservations to ensure getting to experience it? What if you can’t get an 8:00 am breakfast reservation? I was online exactly 180 days from when we plan to eat at CRT. I could only score an 8:15 am reservation and this was at 1:00 pm in the afternoon on the first day we could book for this date. Will they let you in if you arrive a little early? In the past, this has been possible with other places, but I have heard they are really strict at CRT. I really hope this doesn’t mess with our plans that morning – Friday, August 22nd. I also wanted to comment on the FP+ for Kilimanjaro Safaris after lunch. What if you are going in the summer? Our plans are for August – won’t the animals be less active in the PM? I am thinking an AM safari would work better and that we should use a FP+ for something else in the afternoon. Yeah, that might make sense. Disney does do things to stimulate them to come out at all times of day but mornings can be better in the summer. I wanted to ask about that! I read else where that they are MUCH more active in AM and was recommended to do this first. Would you have any comment on that? I really liked you plan here and really helps to get me going in the right direction. It’s nice having a plan set out just making tweets that work best for my family and our trip! Thank you! 8:15 is still an excellent time. I would just show up a little before 8 and they’ll let you in since your name will be on the list. Great advice. I love how detailed the days are. Going back to read your princess lover plan now! Do characters also send postcards abroad? My kids would love it, but we live in Europe… Does Mickey know where that is?! So how does the letter from the character work? Does my daughter need to write a letter (say to Stitch) and then Stitch writes a letter back? We leave in November, do we still have time to do this? I went to the Whispering Canyon Cafe years ago. I asked for some more water and they gave me a shot glass size cup filled (I use that term loosely) with water. My family and I still joke about it to this day.